Print Notes : This box determine whether or not any notes recorded during the exchange of the product will be printed. Print after saving : This box determines whether or not a new invoice will be automatically generated upon completion of the exchange. 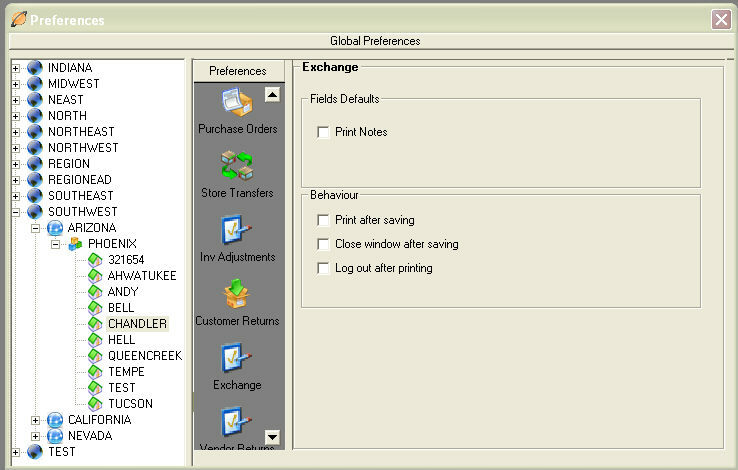 Close window after saving : This box determines whether or not the exchange window will automatically be closed after saving. Log out after printing : This box determines whether or not the current user will be logged out after the invoice has been printed.